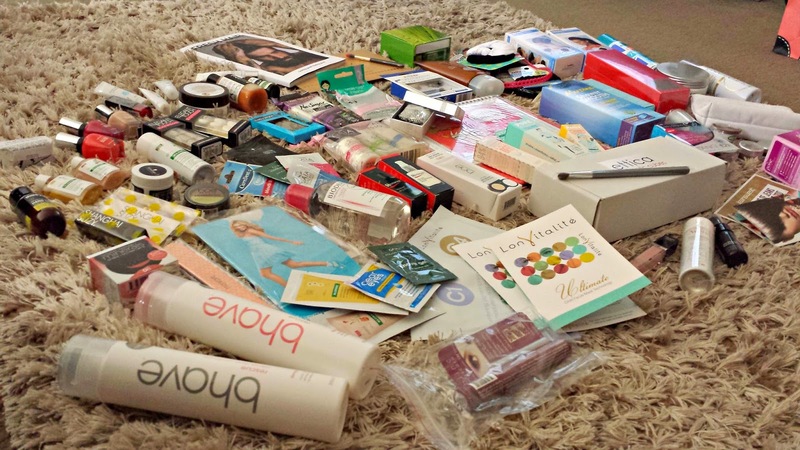 In January, I was lucky enough to attend a blogger event in Melbourne called Glamour Affair. It was run by two lovely bloggers, Melissa and Erin - hover over their names for links to their blogs! The event was held at the Elephant and Wheelbarrow pub in St Kilda, and the turnout was great - about 35 bloggers and YouTubers. I love these sorts of events, because they are such a great opportunity to network and get to know different people involved in different kinds of social media. Not to mention the AMAZING goodie bag we were sent home with! Some of the brands we walked away with were Benefit, Lush, Shanghai Suzy, LonVitalite, Schwarzkopf, The Body Shop and Skindinavia... to name only a few! When we arrived, we were each given a small box, with a heart shaped USB stick on a chain inside. On the inside of the lid, was the name of one of the other guests at the event. We then had the challenge to find that person and take a photo with them. The photos were then uploaded to Instagram and two were chosen to win a beautiful necklace from Bevilles! It was a fun idea, and a lovely way for us to break the ice and get to know one another. 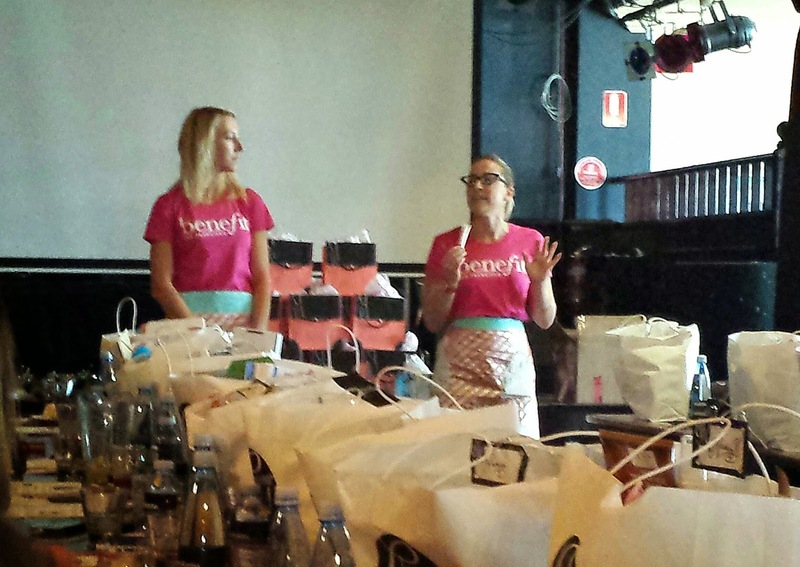 Throughout the afternoon, we took part in other activities and saw presentations by representatives from Benefit, Lush and LonVitalite. 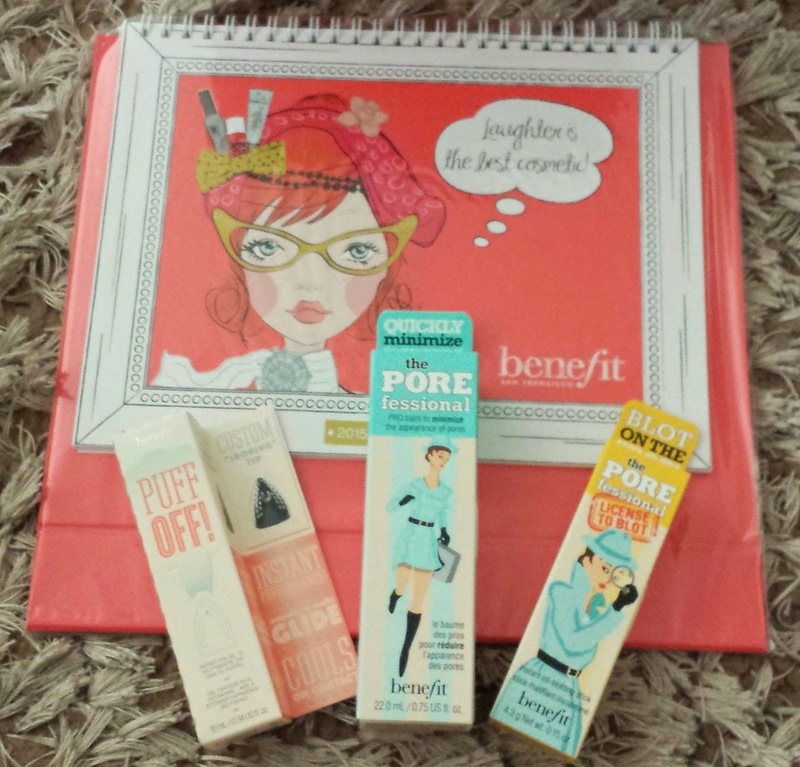 We were extremely lucky to be given three full-sized Benefit products, including Puff Off, which had only been released that day! It was a really great day overall. We enjoyed great company, yummy food and learnt a lot about some awesome brands and products!